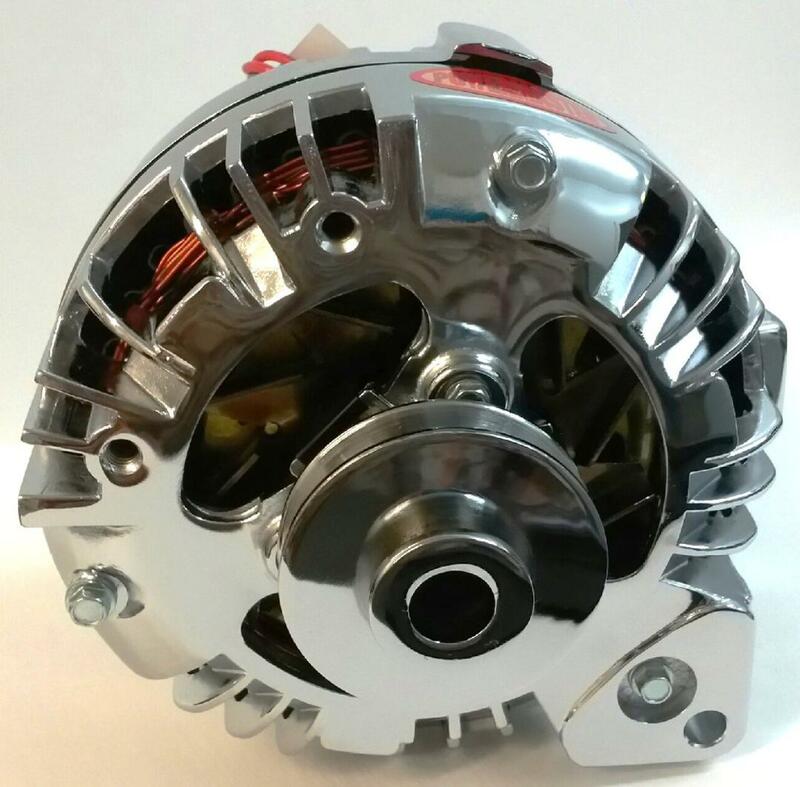 Voltage regulator not required, built in to Alternator. NOTE: 1-Due to the increased amperage capabilities of these High amp alternators, it is highly recommended to run an ADDITIONAL 8 gauge lead to the power lead from the alternator to the starter relay positive post or positive post on battery, along with a fused protection between that point. 2-It is also a good move to defeat the AMP gauge in the car by disconnecting both leads off of the back of the ammeter, use a heavy gauge machine screw, washers and a nut and tighten. Then insulate the wire to prevent shorting. Then mount an auxilary Volt gauge somewhere hidden to check charging system, periodically.